There has been some fascinating transfer news, gossip, rumors, and speculation surrounding the Gunners, especially in the past few hours. Without further ado, here is the Arsenal Transfer News Roundup. 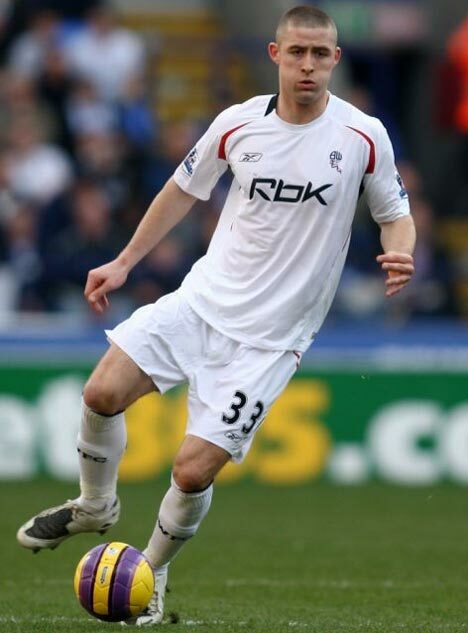 According to the Mirror, Arsenal are closing in on the signing of Gary Cahill from Bolton. Cahill, has been heavily linked to a move to the Gunners this summer and is reported that his 17 million pound valuation is what's delaying the deal. In my opinion, in order for the Gunners to complete the deal, they are going to involve players in the deal with Ignasi Miguel and Henri Lansbury mooted as possible makeweights. Hopefully the report is true and that we see Gary Cahill as a Gunner soon, as it will also complete a major requirement this summer, which is the center back position. John Cross also reports, that Barcelona officials are flying to London in order to seal the deal for the services of Cesc Fabregas. Guardiola stated earlier today, that the Gunners are willing to negotiate the transfer, which didn't come as a surprise to many, including me. In the meantime, Peter Hill-Wood confirmed that they will listen to "very good offers" for Fabregas and also said that they received a 26 million pound bid from Barca, which was rejected straight away and haven't received an offer since. Simply and I'll say this again, if Barca want to acquire Fabregas, they must pay the 40 million pound asking price or piss off, and nothing less. 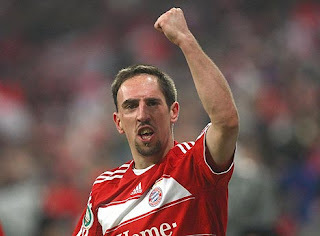 Arsenal In "Serious Talks" With Bayern Munich Regarding Ribery? Ribery.... Gunners in serious talks with Bayern Munich over potential deal? Very fascinating news indeed, as Footy Bunker state that "according to sources in Bavaria and London, the Gunners are in serious talks with Bayern Munich over the sale of Franck Ribery. According to the report, Bayern Munich value Ribery at 22 million pounds and it depends on whether Fabregas will be sold. The reason for the low valuation for a player of his quality, is because of poor form and injuries, which has affected his performances last season. I honestly, seriously doubt this report, especially as it's the only site reporting the story. I don't believe that Ribery will be sold for that kind of price, as he's highly valued by Bayern Munich. If this report is true, then Ribery would be a quality signing for the Gunners, as despite his rather poor form last season, he bounced back strongly in the end of last season. He's a top player, pacy, excellent dribbler, crosser and has great technique. According to the Young Guns Blog, Pedro Botleho, is set to join Rayo Vallecano on another loan spell, this time in La Liga. The 21-year-old Brazilian, who impressed on loan with Cartagena, was told by Wenger that he needed to test himself in La Liga before being handed a chance with the Gunners. I believe that Botelho is a talented player and I was looking forward to watching him play in an Arsenal shirt. But I believe that a season in the top flight with regular football, would do him the world of good. I wish the best of luck with Rayo Vallecano. What do you think? What are your thoughts on the latest on both Cahill and Fabregas? Do you believe in the news on Ribery? Do you agree that Botelho should go on another loan spell? Two years ago, Arsene instrumented a major change in the way Arsenal play. He reshuffled the team from his preferred, traditional 442 and implemented a new, modern 433 strongly based on Barcelona's approach. The change was implemented across the whole of Arsenal football club, right down to the grass roots and pre-teen sides. The change seemed to give many players a better chance to express themselves, and, most importantly, Cesc had less defensive responsibilities and could the focal point of our attacking play. The system also relied on Alex Song maturing into the holding midfield role - which he did admirably- as well as pressing from the midfield so as to stop long balls over the top of our high line. Most important though was the role of the lone striker, but in Robin Van Persie, we soon discovered that we had a truly world class player in our ranks. It seemed to work very well at first after a 6-1 win away at Everton, and we enjoyed free, fluid attacking football as well as the hope of a title challenge. Van Persie's inevitable injury did hamper the campaign, but we were still free-scoring and only carried out our classic collapse towards the end of the campaign. Over time, due to Cesc's increasing influence but also the introduction of Wilshere too, the system slowly adapted into more of a 4-2-3-1 with Jack giving the team a perfect balance and Nasri, Arshavin and Walcott, providing multiple goals and assists from the flanks. However with the new system, we have still enjoyed the same old problems, and at times our defence looks more vulnerable than ever. The wingers fail to provide enough protection for the fullbacks - a factor which compromised to Clichy's many errors and I think subsequent departure - and we fail to have enough people in the box. Sure you can argue we have beaten Manchester United, Chelsea and Barcelona with this formation, but our main problem lies in the Premiership, where time and time again we fail to break down teams with 11 men behind the ball, especially at home. That is why I think that next season we should implement a 4-4-2 formation. Not in every game, as last season we adequately showed we were capable of beating anyone with our 4-2-3-1 formation, but in games against lesser opposition where teams don't even bother to attack. The home games mainly and when we use our second team in the cup. The more attacking formation would provide more entertaining football and should produce more successful results. Last season we managed to lose at home to Newcastle and West Brom (two newly promoted teams) and went through boring 0-0 draws against Sunderland and Blackburn as our title challenge faded. If we had started those games with a more attacking 4-4-2 we may have fared better, and who knows what could have happened? 4-4-2 also has defensive benefits, as the fullbacks have more protection and the central midfield works hard defensively, and in attacking moves. In Song and Wilshere, we could implicate a similar partnership to the Vieira Gilberto one. Song carries out defensive duties, whilst Wilshere plays a box to box role. 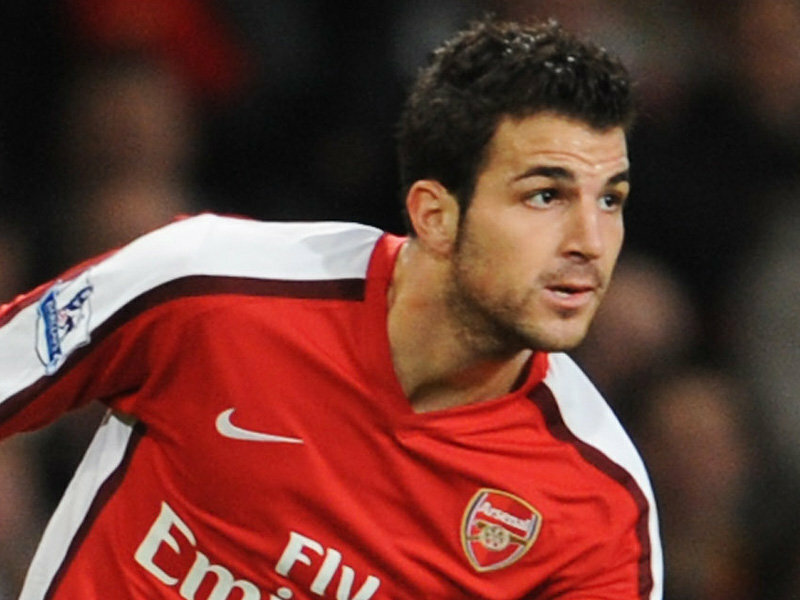 If Cesc stays too, despite people saying he cannot play in a classic 4-4-2, he can slot in to the midfield easily. After-all I am suggesting that we use this formation against the so called "lesser teams" where we will be attacking for most of the game, so Cesc would not have to rely too much on his defensive duties anyway. He has also had one of his best seasons in an Arsenal shirt in a 4-4-2 alongside Flamini, where he managed 13 goals and 22 assists in his 45 appearances, not too shabby for a 20/21 year old. Among other players, Van Persie would also benefit from the system. Whilst he has coped more than admirably in the lone striker role (and arguably improved as a player) his best position lies in the second striker role, where his creative play can be expressed to the best of his ability. Moreover, given Walcott's recent statement of his desire to play up front in the coming season, now could be a perfect opportunity. With quality on the wings from Nasri (hopefully), Arshavin, Rosicky, Vela, Gervinho and possibly Miyaichi; Theo's position could be under threat, so a switch to up front could bring many answers to our questions on squad selection. Having two formations can also give us a plan B in times where we are struggling. We only have to look at Manchester United to see the benefits of rotating the squad and formation to fit the opposition, they are one of the most tactically astute teams in the world and their trophy cabinet speaks volumes about it's advantages. This Arsenal team has the chance to go as far as it wants to, but Wenger's task is how to find the way for the players to best express themselves and 4-4-2 could give some players that chance.